Peterhead was probably one of very few courses open for play on Wednesday in Scotland and possibly the UK as sleet and snow spread across the country from the west. A total of 63 dedicated Alliance members enjoyed a beautiful sunny day with light winds. Course conditions were challenging as expected with winter greens and very hard fairways affected by frost and ice. 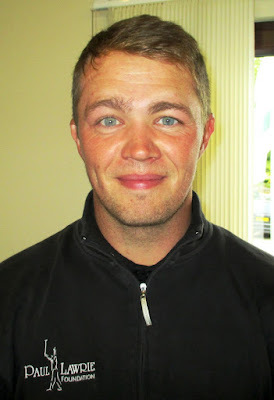 Kris Nicol (pictured) was one of the earliest starters, facing the coldest air and ground conditions with perhaps the most unpredictable reactions from the course. Despite that, he stuck to par on almost every hole with an eagle 2 at the 11th helping him gain a three -shot advantage over the rest of the field.